2018 is off to a great start at Almost a Game! We kicked things off by celebrating Bobby's birthday and kicking Brenda's holiday blues at Arisia, our first convention of the year. Arisia is a fan-run convention in Boston, MA. It's a special kind of convention that aims to be the most inclusive it can be. 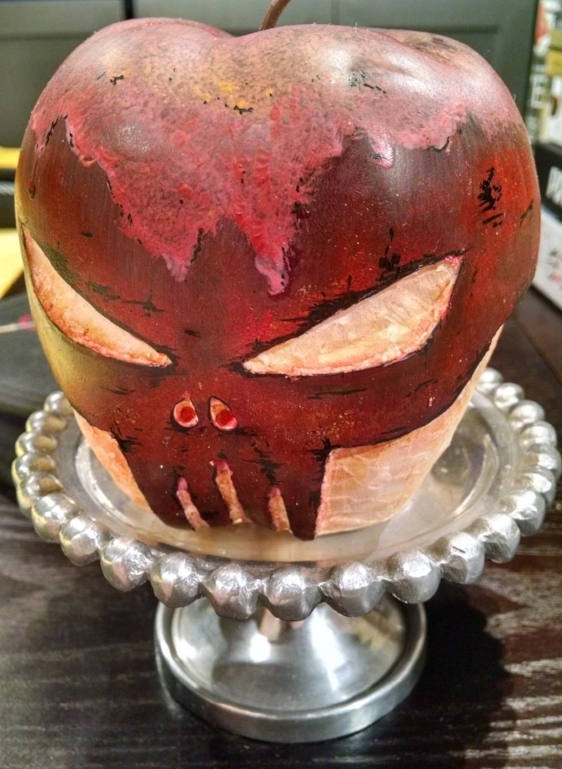 Since it's local, many of our friends also participate, making it an all-around fun weekend. 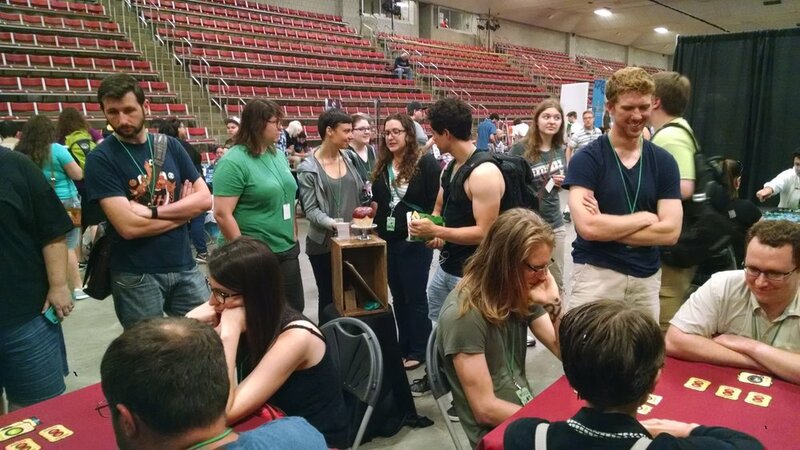 Arisia recently started hosting an Indie Expo, so this year we decided to join in and represent Almost a Game. The Indie Expo was tucked away in a back corner ballroom, so it wasn't the easiest to find us, but with a little guerrilla marketing and 5-minutes-til-closing help from Penfield's Business Center, we made the best of it. 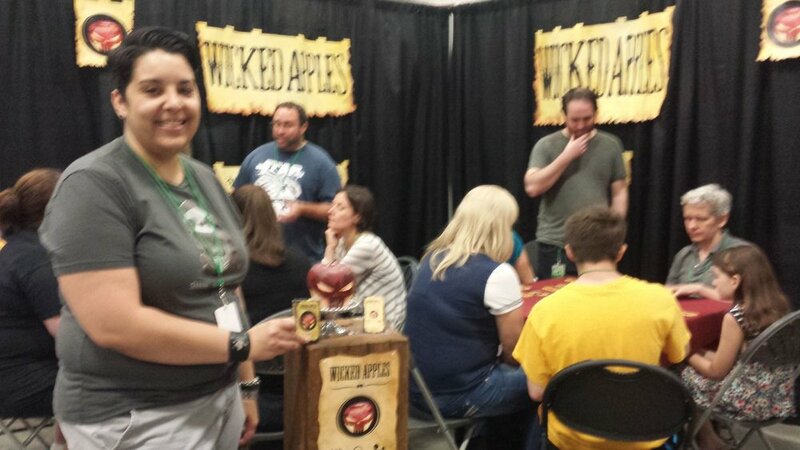 We demoed Wicked Apples for lots of new people, learned which apple is Bobby's 4th favorite and finally got around to comparing some apples and oranges (it turns out apples are a little more wicked). 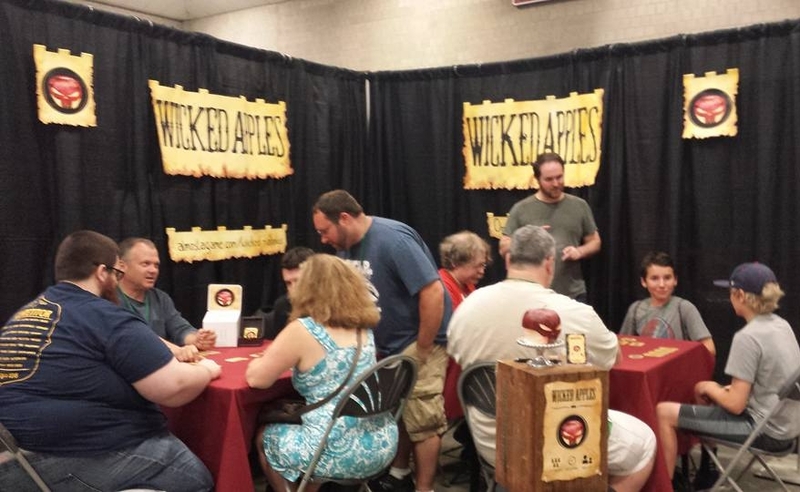 We still have much more in store this year, including a more conventions and Bobby's latest game, False Queen. Stay tuned by signing up for our newsletter or following us on Twitter.